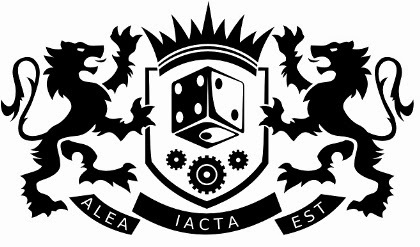 In case people haven’t heard of your company, tell us a little bit about Historical Games Factory and the games you make? We are a publishing company from Poland, now present on the board game market for around 2,5 years. The company was established and is currently run by two doctoral students of history at the Maria Curie-Skłodowska University in Lublin, Poland. 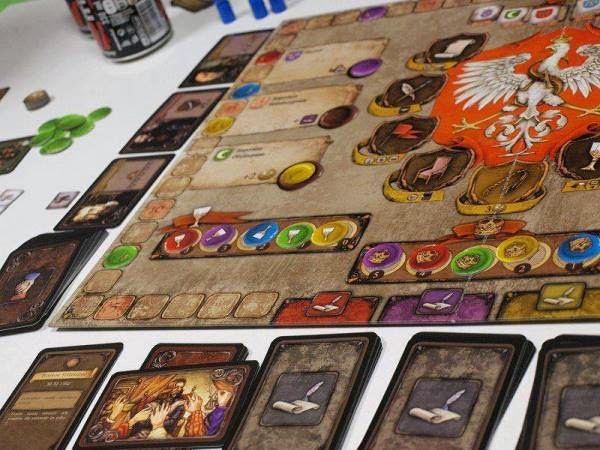 They are also gamers and fantasy fans, who simply wanted to mix at some point their two great passions – board games and history as an academic field. Of course, now our team is bigger than just two people, but we still maintain the original vision and mission – to create good games for gamers and to educate through fun at the same time. So far we have released six board and card games, the most popular being “Sigismundus Augustus. Dei gratia rex Poloniae” and “The Outcast Heroes”. The first one is a heavy euro-strategy set in the 16th century, the time of proud noblemen and winged hussars, while the latter is a simple semi-cooperative card game with the traitor mechanics, telling a story of the Polish underground anti-Communist movement at the end of WW2. However, our games touch many more themes, like Solidarity and the strikes of 1980 in Poland (W Zakładzie – available only in the Polish language), ancient mythologies (Teomachia – two editions: Polish and German) or the Bible (Ark of Animals – a light family game about saving animals from the Flood). Sigismundus Augustus is Historical Games Factory's biggest success to date. That is quite a diverse range of games but what makes a game from Historical Games Factory unique? When designing a new game, we always start with a thorough historical research to establish the setting and avoid mistakes. Only then we can start thinking about what mechanics to use to fit the theme. I think that this is one of the most important factors in our games – creating game rules that will correspond well with the story behind each title. We do not design abstract mechanics that could easily be adjusted to any topic, but we always try to connect them to the historical period the game is set in. In this way we are able to create games with some educational value, but still attractive for advanced gamers. You’re about to go to Essen with First to the Fight tell us about the game? 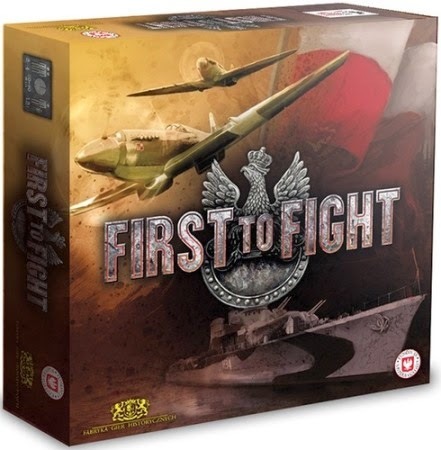 “First to Fight” is our brand new product, a medium-heavy game for 2-4 players, released in September to commemorate the anniversary of the beginning of WW2. It is about Polish soldiers fighting on various fronts in Europe and North Africa. The players become military commanders fighting against the Axis and send troops to different regions to carry out missions, such as the Battle of Britain, Tobruk, Monte Cassino, D-Day, Market Garden or the Warsaw Uprising. What is important, no troops are assigned to any single player, they just have to manipulate the soldiers present on the board in such a way that they gather appropriate units (infantry, sailors, paratroopers, etc.) in an appropriate region in time for starting a mission. Mission cards are secretly drawn at the beginning of the game and each round a neutral event card is revealed, showing by how many months the marker on the time track advances. First to Fight has players controlling troops all over Europe. How important is the Essen games fair to you? In 2013 we were in Essen for the first time, so it was a great opportunity to show our games to a wider audience and I must say the fair was really successful for us. We managed to sell a good number of games and, most of all, establish many international contacts with shops, distributors and other publishers. Currently we are in talks with our partners regarding a few big projects. We cannot confirm anything officially now, but I am sure you will hear about us again in the near future. So in this way – Essen is a very, very important event and we recommend going there to every young game publisher, no matter what country they come from. I’ve been drawn in by the fantastic art you’ve teased for your upcoming game Heroes. You’ve made a name for yourself (quite literally) by making historical games, what made you want to branch out into high fantasy with Heroes? Our whole team are fantasy and s-f fans. We all play or at least at some point played RPGs, we read fantasy books, watch movies, go to conventions, etc. Fantasy has been present in our lives for long and it was only a matter of time when we start creating fantasy games. However, we don’t intend to change the name of the company or to blur the thematic range of Historical Games Factory, so “Heroes” will probably be released under a completely new brand. But it was designed by exactly the same team who created “Sigismundus Augustus”,” Teomachia” or “The Outcast Heroes”. 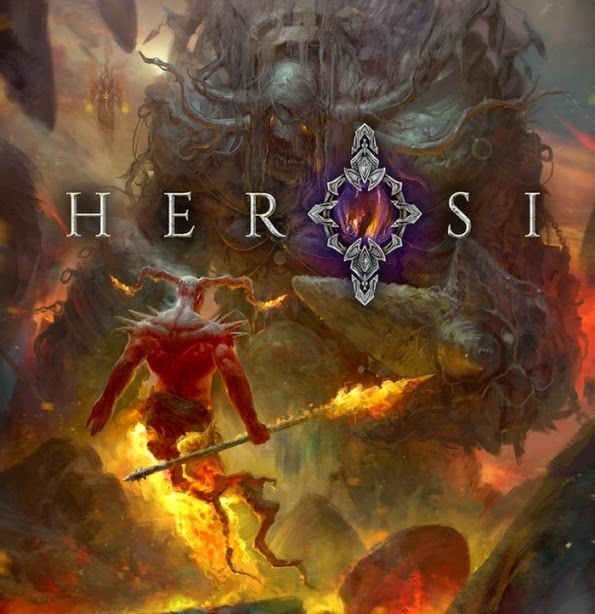 I understand that Heroes was originally planned to be released at Essen Spiel this year? What made you delay the game and what kind of pressure does a major convention like Essen contribute to the development process? Yes, we originally wanted to bring “Heroes” to Essen, but it turned out impossible. The game was actually ready and had been heavily tested before the fair, but we had to delay the premiere because of production problems. This game needs special custom-made dice with symbols in different colours instead of numbers, and the manufacturer just couldn’t send them to us on time. It’s a shame, since Spiel is the most important gaming event in the world and lots of people could try a new game there, but we hope that “Heroes” will be available soon after it and will sell well despite the delay. And as for the pressure – oh yes, we feel it stronger with each day that makes us closer to Essen. But fortunately, apart from “Heroes”, we have all the stuff ready. Spiel is such a big event, that you start preparing for the next edition right after you come back from the last one. Many thanks to Piotr for taking the time to answer my questions. You can find more information on the Historical Games Factory website or Facebook page and if you’re heading to e Essen Spiel 2014 you can check out their booth at 2-D118 in hall 2.